First set of SDA's.... How'd I do? Just picked these up for $300 at an estate sale... So far they seem to be in working order and barely a scratch on them. No frozen drivers and seem to be air tight. My Rotel 1095 and some Tchaikovsky had me wanting to jump behind my chair lol. I believe they are first gen SRS. Great score! Plenty of information here about them and how to restore them. Let me be the first to say welcome aboard. Wow! That’s the mother of all smoking deals! I got a set for $1000 a while back. Lots of great upgrades to be had! Well done sir! Nice! Did you get the interconnect cable as well? 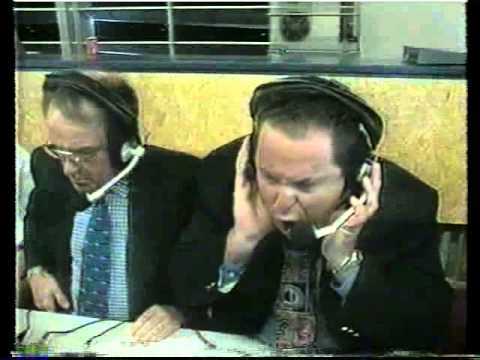 I hope you have the interconnecting cable hooked up. If not, you haven't heard nothin yet. It was an estate sale and the cable was nowhere to be found but I fabricated a temporary one. Did my research to make sure I connected the correct blades to the correct blades first though. So they are blade / blade? Yes there are two blades on each speaker. One a little smaller than the other. Welcome you lucky bastage! Probably one of the greatest speakers ever made right there! Alright after listening last night I've decided I need to upgrade a few things. I'm getting a lot of hum from them when no audio is playing and need to either source an original interconnect cable or build a permanent replacement. I may replace the tweeters with the RD-0194's but not sure yet. As for the hum... Where should I start my repair adventure? Resolder wire connections in the crossovers or go ahead and start replacing components? What kind of hum? Not a ground loop? Does it go away when you disconnect the interconnect cable? If you're going to pull the crossovers you might as well upgrade the caps and resistors. All the other treatments people will recommend here will go a long way too. Dynamat on the driver baskets, sealing the boxes, etc.. The upgraded tweeters from Polk are definitely worth the money. Although, you've got quite a few you'll need to buy for that set. Not a ground loop I believe. 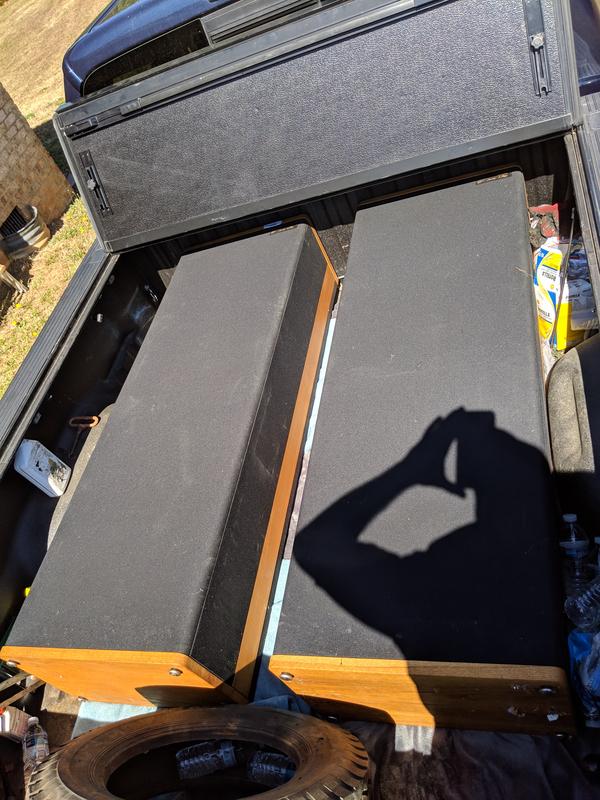 Swap same leads to a set of Klipsch towers and it goes away. Stays with and without the interconnect cable. Just sounds like a power hum. 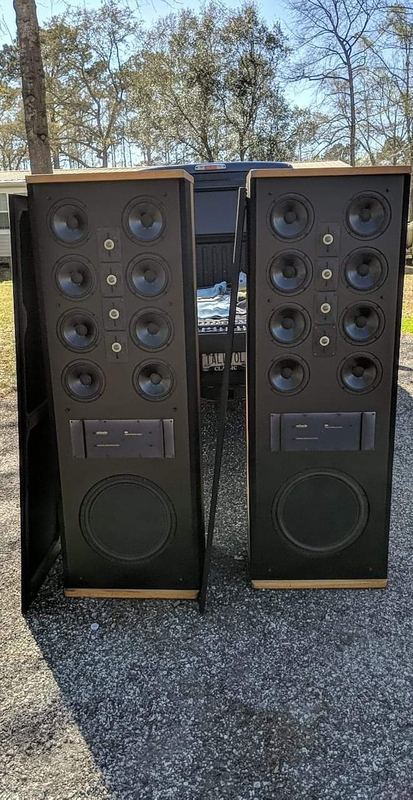 Yeah needing 8 of them at $50 a piece is more than I paid for the speakers lol. I've been researching the various mods and I believe the dynamat and additional sealing of the boxes is where I'll start then check the crossover components and replace and that don't check out. Try and get the RDO194’s before you do anything else.... no telling how much longer Polk will be providing them. And sell the SL2000's to help defray the cost, there's plenty of people that want them. Wonder if its something in your chain (system) that is causing this. Try unhooking everything & hook things back up 1by1 trying it each time -till- u narrow it to the culprit. Just a thought. Maybe a cable into pre not jiving with SDA speakers ? I'll give you your money back plus a hundy for you troubles. Hum is caused by grounding issues with electronic components. Loudspeakers do not “produce” sounds. They only “reproduce” what is sent to them when they are hooked up properly and do not have faulty components. There is some sort of grounding potential difference somewhere that is the cause of the hum. Unfortunately these speakers have become a part of that issue (they are after all rather unique in their design) Problem is you practically have to be an electronics expert to track down the cause. IF AT ALL POSSIBLE try swapping out some upstream components in the same way that you did the speakers to see if the issue goes away. Doing upgrades to them is definitely going to cost more than what you paid for them, but it is definitely worth the effort and cost! Btw if you call Polk Audio to order some new drivers and inform them you are a Polk Forum member you will get a discount. Is your Rotel a common ground amplifier? if not there can be issues... I played my CRSs with an old Pioneer receiver that was common ground but did have about 10 ohms of resistance between the ground terminals, and it hummed. Nice find! Those are great speakers. Epoxy or PowerGrap all of the mid-woofer magnets too when you have them out for the Dynamat treatment.